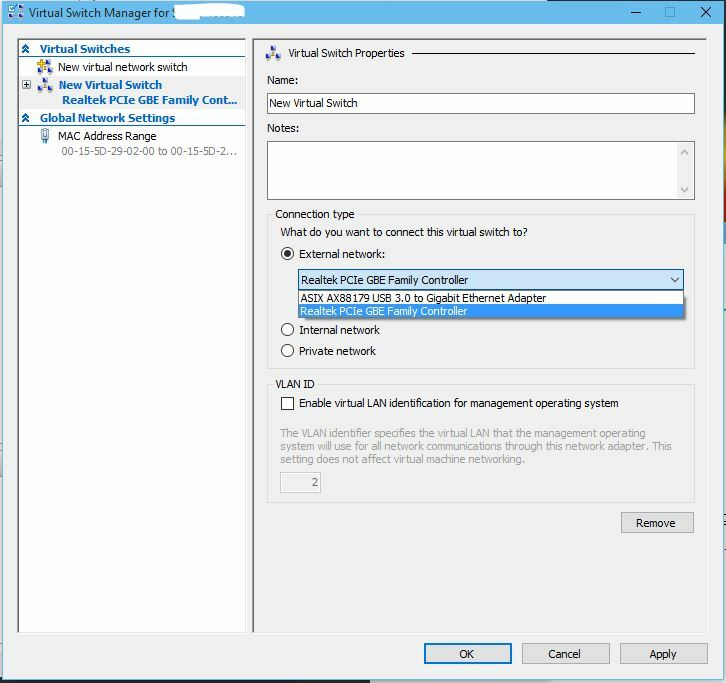 New-VMSwitch -SwitchName "Virtual Switch" -SwitchType NAT -NATSubnetAddress "172.16.0.0/12"
Update: Build 10586.3–Loopback adapter was missing, added back, and checked Hyper-V Extensible Virtual Switch. This seems to happen with each build update. A reboot may also be required. This procedure shows you how to set up bridged and shared (NAT) networking with a single physical network card. 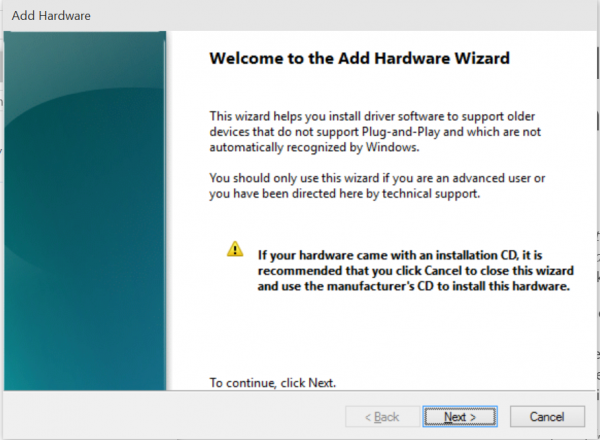 Select the correct network adapter under External network, this should be an active network card, i.e. one that is connected to your network and your host is using. If you only have one network card, verify that Allow management operating system to share this network adapter. If you have multiple network cards, and want to use this card exclusively for VMs, uncheck Allow management operating system to share this network adapter. Click OK and the new virtual switch will be created. 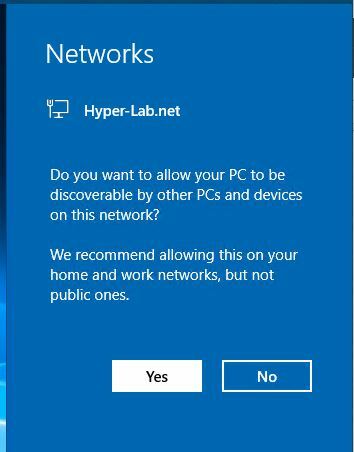 Verify that you don’t have any ongoing network tasks before clicking yes, as your network connection will likely be disrupted when the virtual switch is created. Open a cmd prompt with Administrator privileges. Highlight Network Adapters, and click Next. 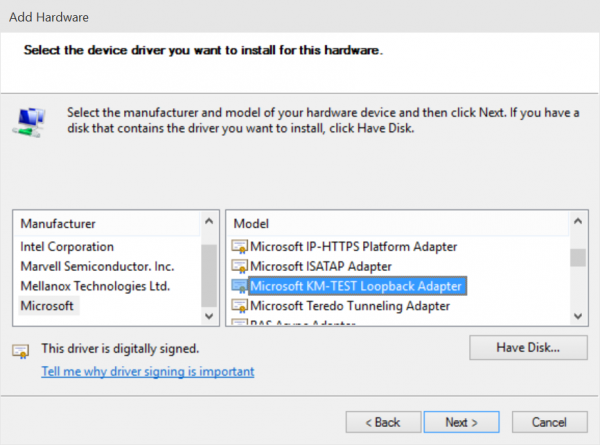 Select Microsoft from the Manufacturer column and Microsoft KM-TEST Loopback Adapter from the Model column and click Next. Open Network Connections (CTRL+X and select Network Connections), locate the newly created loopback adapter, right-click it and click Rename, and rename it from Ethernet 2 or Ethernet 3 to Loopback. 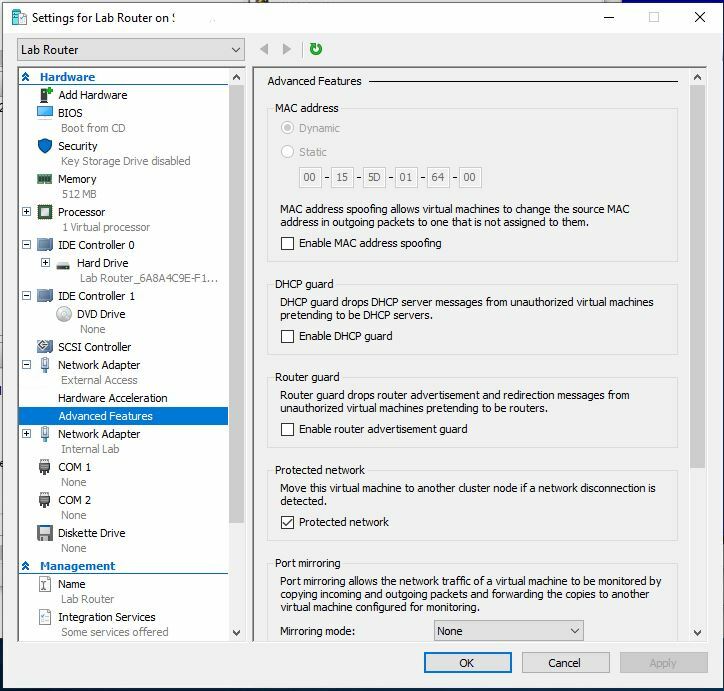 Select the Loopback adapter under the External Network selection box, click OK, then click Yes, this operation will not disrupt your host networking. Right-click and select Properties on the vEthernet (Bridged) network adapter created under Standard Bridged Networking. Click Allow other network users to connect through this computer’s Internet connection. 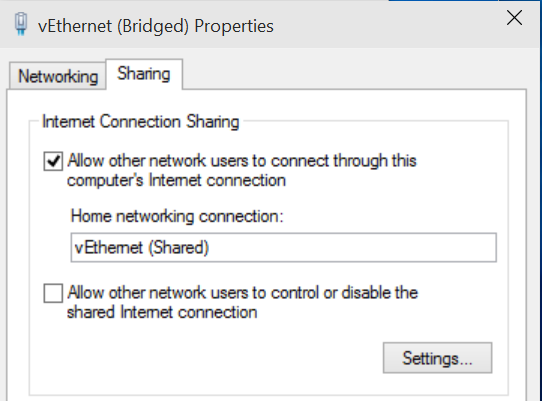 Select the Shared network connection, it should be listed as vEthernet (Shared), or whatever name was used in place of Bridged. Note: The Hyper-V networking is very fragile here, and you may need to reboot if you get errors when trying to connect and share the connections. 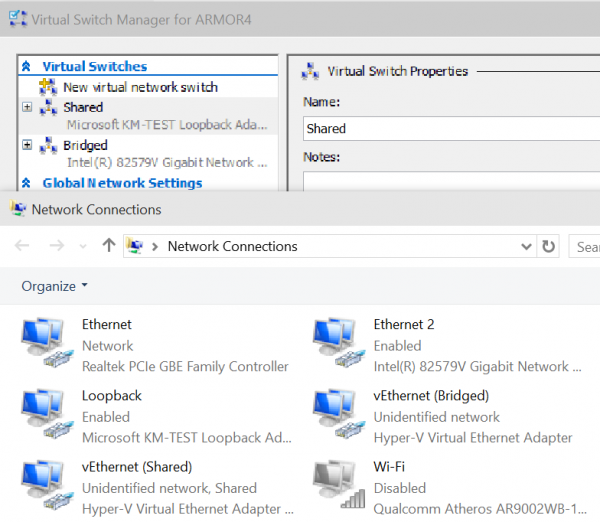 Here’s the completed Network Connections Window, note the Bridged and Shared Hyper-V adapters. Apologies for the pixelation, the Hyper-V Manager is not 4K screen friendly. 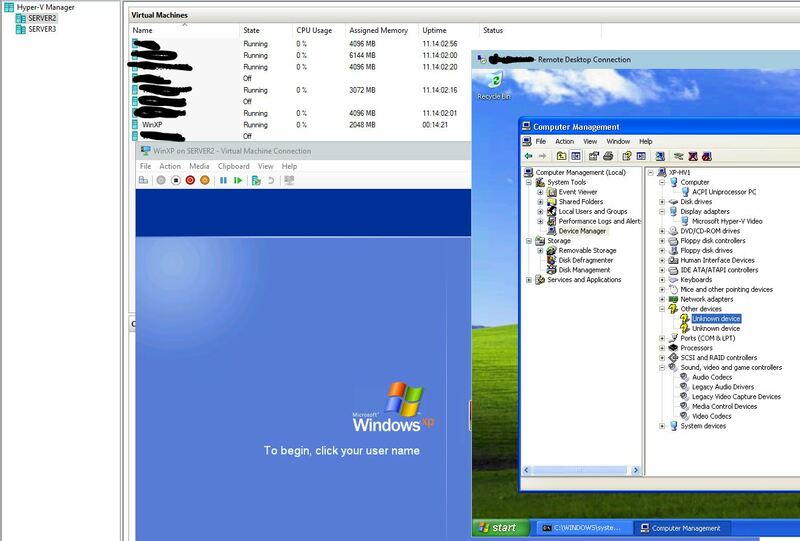 Here’s two VMs using the Shared networking, note, the 192.168.137.x network, the default used by ICS. 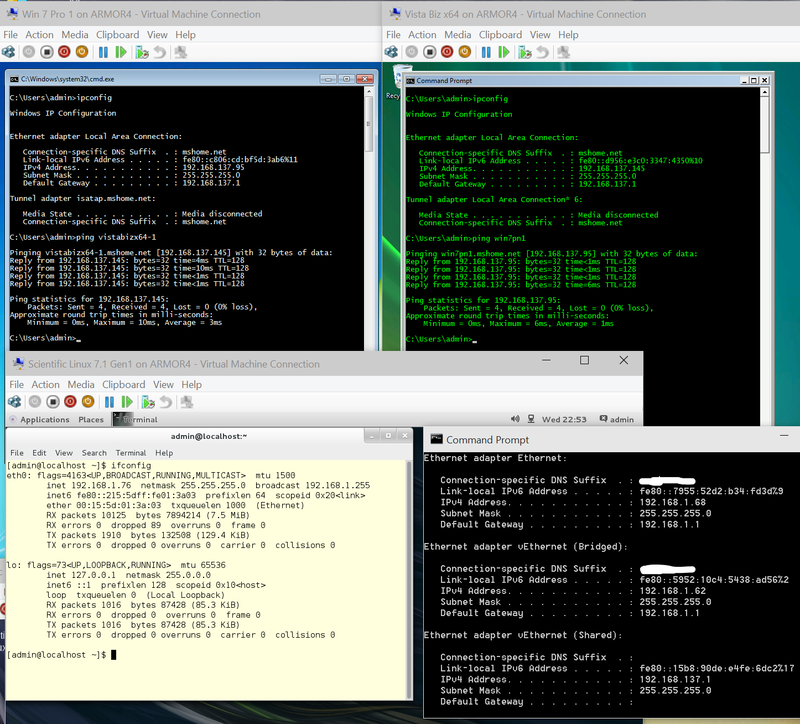 Also shown is a third VM using the host network and the host’s IP. Keeping ISOs on a server/network share is a great way to save space for all your installation ISOs. Unfortunately, Hyper-V does things a little different (it’s called constrained delegation) and can’t directly access an ISO file on a network share or mapped drive with your user account. Hyper-V will ignore any mapped drives you’ve got, but with Windows 10 you can add a network location from Windows Explorer’s Computer tab (1). This makes it easy to get to a remote network share quickly. Go to the ISO location and mount it as a physical drive. 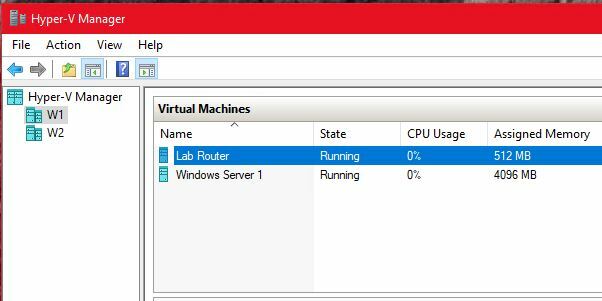 This tricks Hyper-V into thinking the disk is local and not network shared. It works great for everything but Gen2. 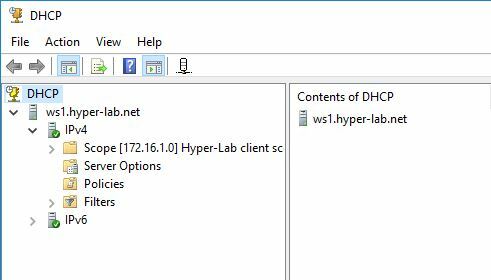 On a domain: this is easy, you just need to add your Hyper-V computer’s domain joined account to the network share. Go to the shared drive/folder and right-click–>Properties. Click the Sharing tab, click Advanced Sharing. Click Object Types and select Computers, click OK. Enter the computer’s name, and click Check names, click OK to add. Open This PC via the start menu, or Win+E. For a standard Windows share, use the syntax: \\servername\sharename replacing with the actual name of the server and share.